Whether for personal taste or functional reasons, home renovations feature consistently on homeowners’ radars. However, many homeowners remain confused about renovation budgets, the right contractors, what renovations to undertake and why. The first question to ask is, why are you renovating? The reasons fall under two broad categories: those looking to sell the house and those looking to enhance their living experience. The former is simply about increasing the value and saleability of a property with renovations that have more mass appeal. Some homebuyers also upgrade the property to their taste before moving in, adding elements that enhance property value. For villas, it is common to see swimming pools being renovated as exteriors play a greater role in enhancing property value. “Swimming pools, gardens and landscaping are also popular renovation choices, along with fittings and fixture, and flooring change,” says Sofia Underabi, head of residential valuations at Cavendish Maxwell. For apartments, Mouhanad Fadel, manager of residential sales and leasing at Better Homes, cites lighting and dust cleaning features as factors that have a major impact on valuation. 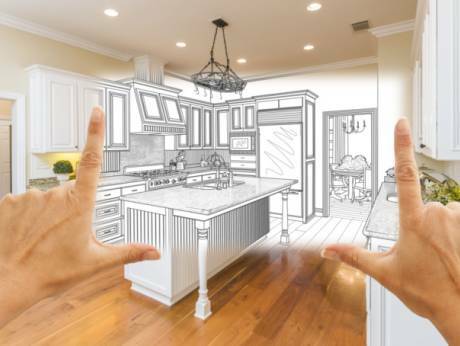 Experts believe renovations can add 10-15 per cent to the original sale price. “Every improvement eventually will add to the home value,” says Curran. The key is in balancing the budget. Fadel says the cost of renovation should not exceed 10 per cent of the asset value, although in some cases it can reach up to 20 per cent. “It should be within a reasonable price range,” says Fadel. When spending more, he cautions “there’s a big chance it will not be valued accordingly in the market”. However, spending a lot is not mandatory to increasing property value. By ensuring the home stands out from run-of-the-mill layouts and designs, one can upgrade even on a small budget. So when renovating a villa or apartment, focus on evaluating your needs and reasons first, and then set a budget based on current property valuation. And don’t forget your due diligence when choosing a contractor. *	Answer the question, why are you renovating?